Hey loves! Halloween is just around the corner and my place is ready to go. So I looove going all out for holidays but the decor has to be on brand and still align with the style of my home. 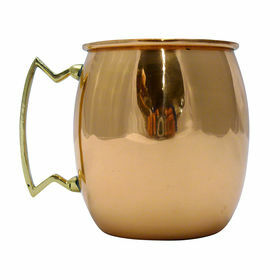 You guys know I love lots of pinks, golds, silvers, whites, and greys when it comes to home decor. So I couldn't be throwing in tons of black, orange, purple, and green for halloween. I wanted to add some chic halloween accents to my home to still create a festive feel, but one that went with my current style. Thankfully, At Home had tonsss of glam gold pumpkins, cute sugar skulls, and other halloween decor that wasn't too obnoxious. 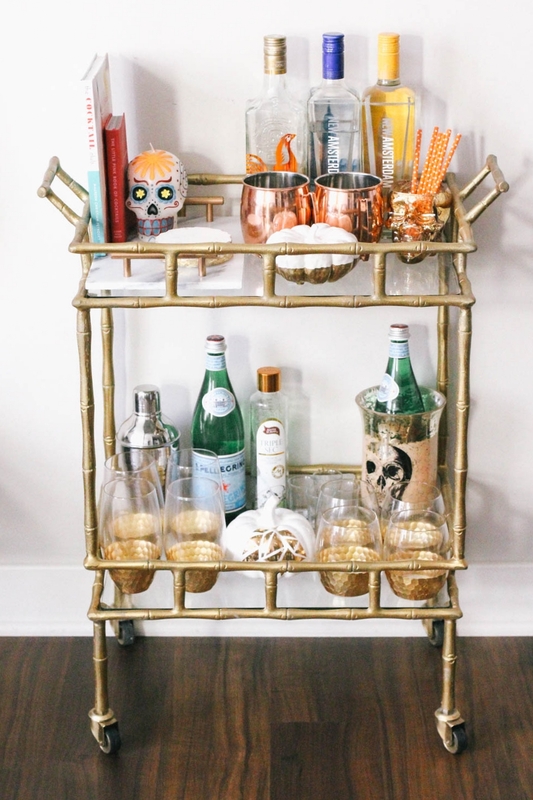 First things first, the bar cart. 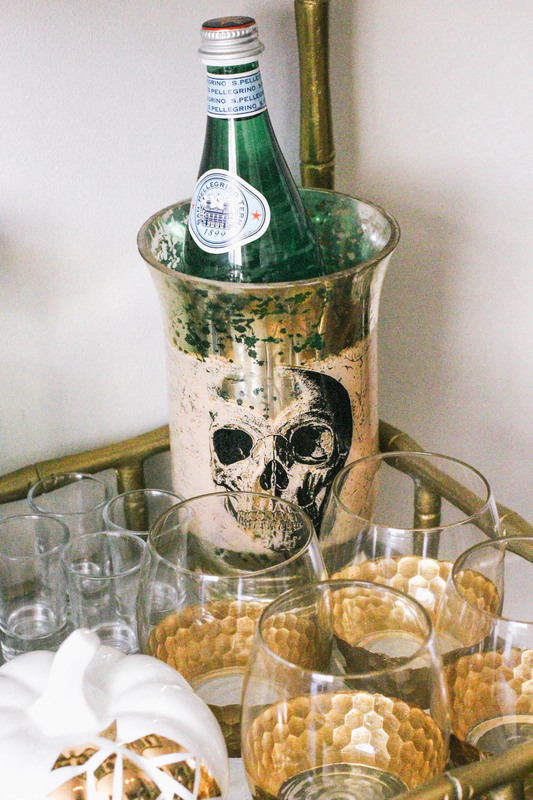 I looove hosting and having friends over, so the bar cart needed some updates. I did a bar cart post in the spring, so I needed to make it a little more fall-ish. 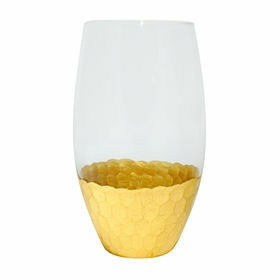 I swapped the flowers and lemons for skulls and pumpkins and added some moscow mule mugs and cute gold foiled glasses. I've linked all of my cute halloween decor below and you can shop it at the At Home stores. They literally get tons of new items every week so whenever I shop at At Home, there are so many new items to shop. ALSO Holy Christmas. They had all of their Christmas decor out and let's just say I'm sooooooo excited to decorate for Christmas!!!!! I saw my first Christmas commercial last night when I was watching TV and I can't wait to decorate. Thank you to At Home for sponsoring this post. All opinions are my own and I'm thankful for the opportunity to work with companies that I love!